Experience the laid-back beach vibe and spectacular natural landscapes of Khao Lak on one of our fabulous 3-star holiday to remember. Enjoy the stunning beaches of Khao Lak, on a blissfully relaxing holiday to Thailand. Travel in style with one of these superb 4-star picks. Secluded beaches, sensational dining, and superior facilities. 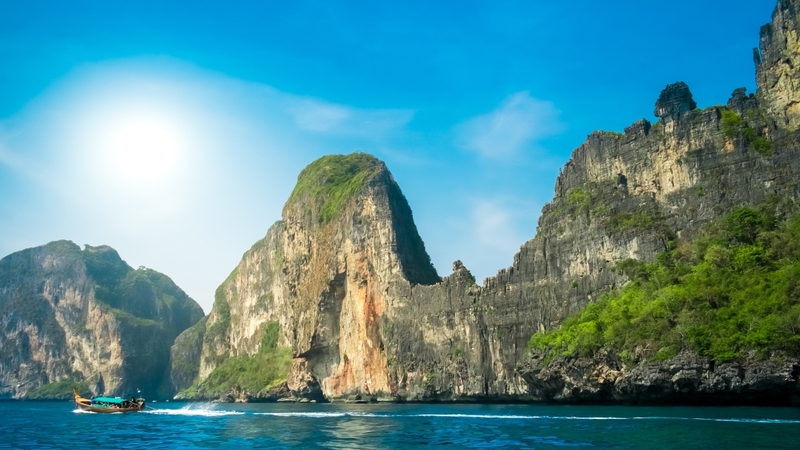 Our 5-star holidays in Khao Lak are the ideal way to experience Thailand’s beautiful coastline. Khao Lak’s low-key beaches and mellow ambience make it a peaceful stop on a multi-destination trip. Browse our 3, 4 and 5 star holidays that combine city breaks with some relaxing beach time. This exquisite Thailand retreat has gained a reputation as an attractive alternative to some of the country’s more cosmopolitan resorts. 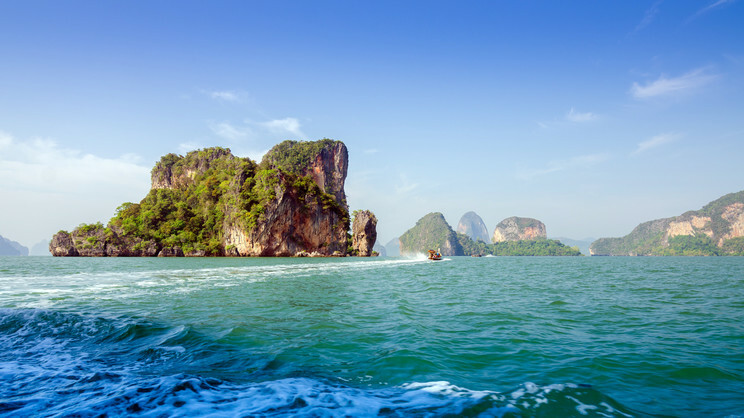 Located in Thailand’s stunning Phang Nga province, Khao Lak is perfect for those looking to get away from all the hustle and bustle. However, this hasn’t always been the case. Khao Lak is one of many destinations that were badly hit by the 2004 tsunami. Fortunately, a swift rebuild has seen the area return to its former glory. Nowadays, the area is home to a wide selection of luxury hotels, restaurants, pristine beaches, exotic rainforests and quaint villages. Khao Lak holidays often appeal to both families and couples. Visitors to the region will find a wide­ selection of activities and attractions that cater for holidaymakers of all ages, including watersports and snorkelling tours. Local tours and excursions are the best way to explore this wonderful part of Thailand. High on the list of recommendations is a trip to Nang Thong beach ­ the region’s largest and most popular beach. The area boasts a wide selection of bars, restaurants, shops, and diving centres. It’s also the perfect place to catch a boat tour or island cruise. Those looking to explore more of the the area’s breathtaking landscape will want to head to the Khao Lak­Lam Ru National Park – a magnificent landscape of rainforests, waterfalls and mountains. On top of being a sublime beauty spot, the park provides a habitat for a whole range of wildlife, including elephants, hornbills, monkeys and langurs. Khao Lak’s prime position on the coast makes it ideal for island hopping. 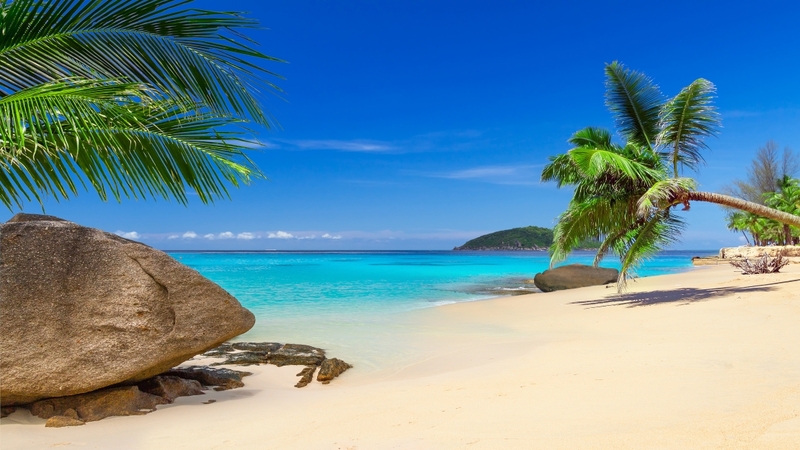 The Similan islands are just one of the many idyllic islets that can be found in the Andaman Sea. Regular boat tours and excursions run to and from this incredible beauty spot, which is particularly popular amongst divers. 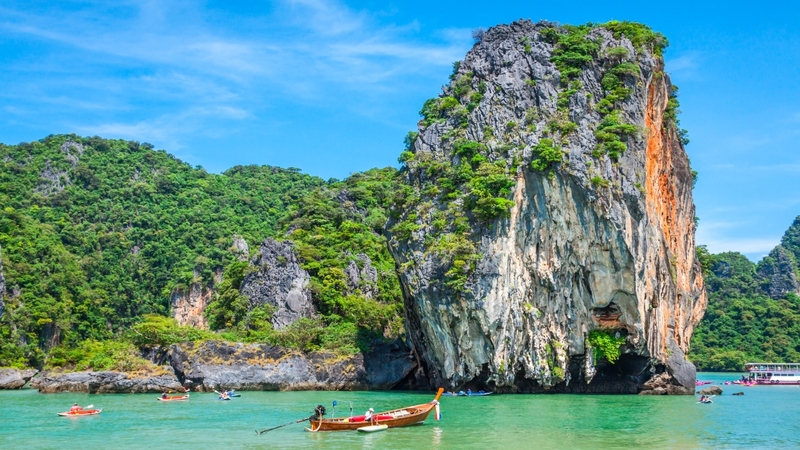 Elsewhere, Phuket is roughly just an hour away. The popular resort is worth a visit, if not for its nightlife, for its bustling markets, beautiful Sino­Portuguese architecture and ancient monuments. Khao Lak stays warm throughout the year. The region enjoys temperatures that range from the high twenties to mid thirties. Khao Lak’s rainy season is generally falls between June to October. Expect conditions to be drier between November and February. March ­ May are widely considered to be the island’s warmer months.